For the last century, the Central Academy of Fine Arts (CAFA) in Beijing has been the preeminent school of art education in China. Some of the most renowned masters of Chinese modern art trained at this hallowed institution and many of their works are stored in the CAFA Art Museum. 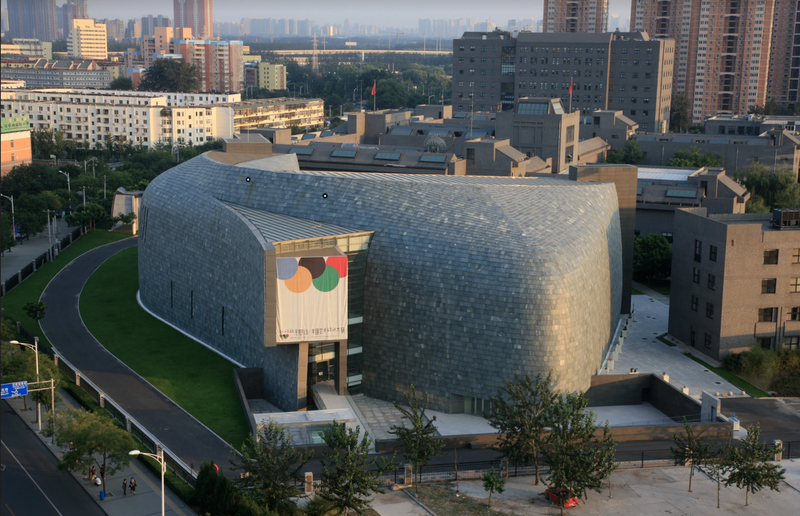 Opened in 2008, the CAFA Art Museum was designed by Japanese architect Arata Isozaki. For CAFA’s 100th anniversary, Google Arts & Culture is taking the masterpieces in its museum to the world, for a new generation of art aficionados to enjoy. These include some iconic and rarely-exhibited works by the father of Chinese modern art Xu Beihong, like Tian Heng and His Five Hundred Followers and Behind Me. 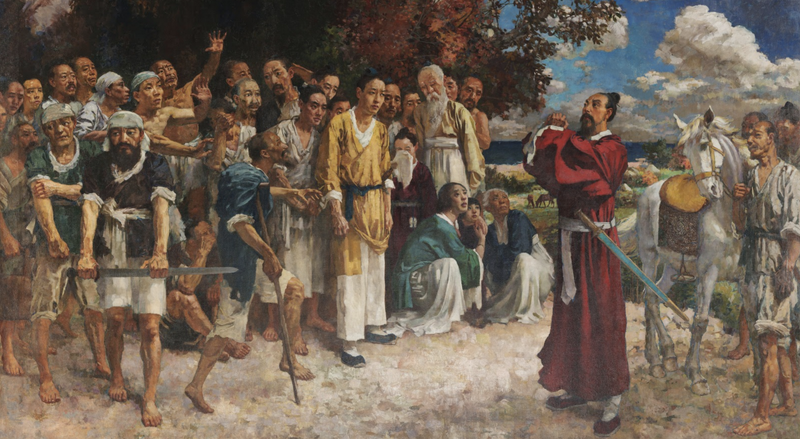 Xu Beihong’s Behind Me depicts starving villagers waiting for liberation from the tyrannical rule of Emperor Jie of the Xia Dynasty. Xu painted this in 1931 after the Japanese invasion of Manchuria in Northeast China. Xu, was the first President of CAFA. 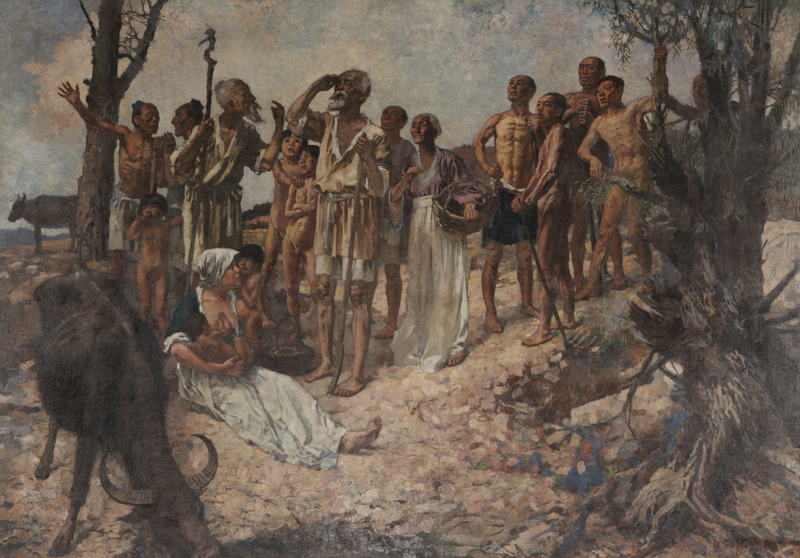 Although he lacked a formal art education, his talent was evident from an early age and he received financial assistance to study painting in Japan and Europe. Xu was obsessively dedicated to reviving Chinese art, which he thought had gone to seed because of its over-reliance on traditional Chinese methods of painting. He often spent more than 12 hours a day painting, integrating the best of Western and Chinese techniques. 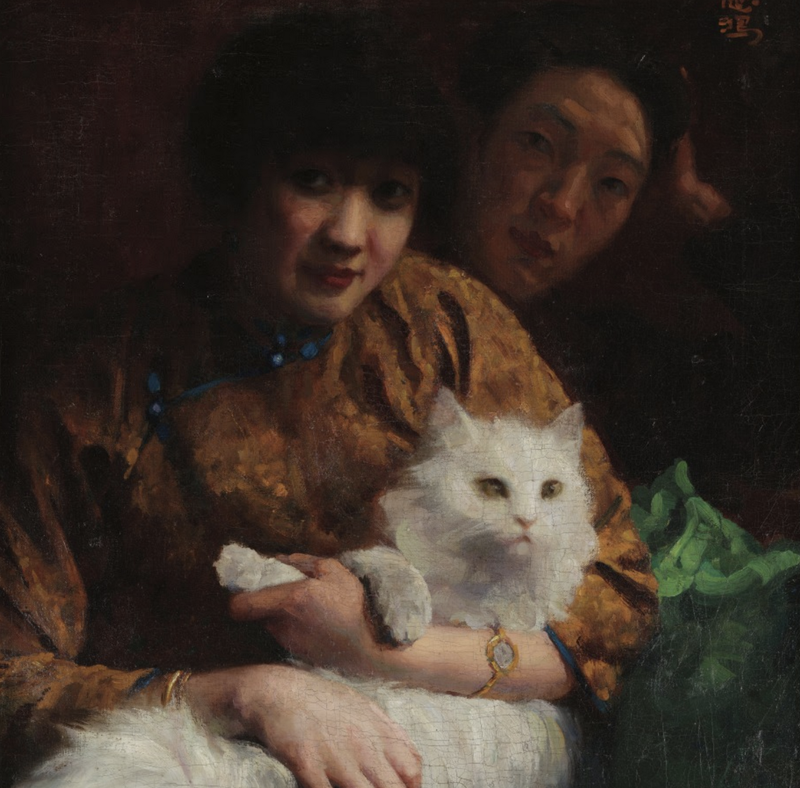 Xu’s works exemplify the realism that became a defining characteristic of Chinese modern art, and you can see over 100 of these pieces on Google Arts & Culture today. Starting today, anyone with an internet connection can now explore Xu Beihong’s masterpieces, as well as the works of other Chinese modern art pioneers. The exhibit includes 27 ultra-high resolution images digitized with Art Camera that you can zoom into to explore fine details that may escape the naked eye. You can even step inside the CAFA Art Museum, exploring four floors of artworks with a 360° visual tour. Xu Beihong (1895 – 1953), the father of Chinese modern art, painted a self-portrait in his iconic work Tian Heng and his Five Hundred Followers. Can you guess who he is? Find out by zooming into the exquisite detail of this artwork. Wang Wenbin’s (1928-2001) Work Song, a classic of Chinese realist painting, shows laborers building houses in rural China. The setting is based on sketches he made of mountains in his home province of Shandong. Get closer to the mountains with Art Camera and find out what the fine details on the distant ridges are. A rare couple portrait of Xu Beihong and his wife Jiang Biwei. Jiang was 18 when she eloped with Xu against her parents’ wishes. They were married over 20 years and had two children, but the union was an unhappy one, beset by rumors of Xu’s infidelity. They divorced in 1944. 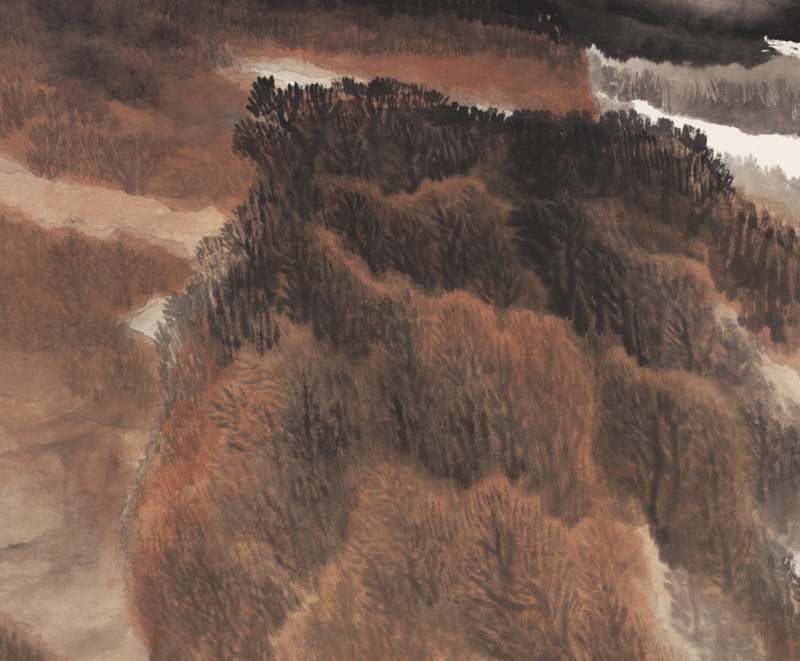 A huge mountain dominates the canvas in Jia Youfu’s Taihang Mountains. But if you zoom into the painting with Google Arts & Culture, you can see how humans are making an impression even against this imposing backdrop. 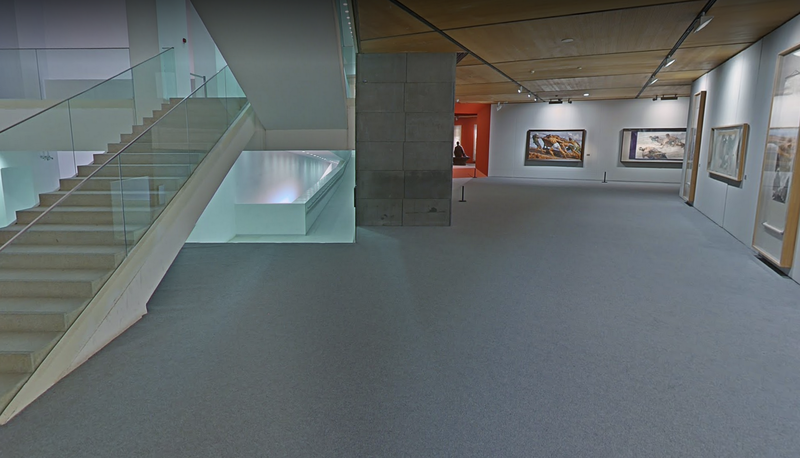 Explore four floors of the CAFA Art Museum in a 360° visual tour. Visit and explore the Central Academy of Fine Arts Museum on Google Arts & Culture today, available on desktop, iOS and Android.